Oh, Mama!! 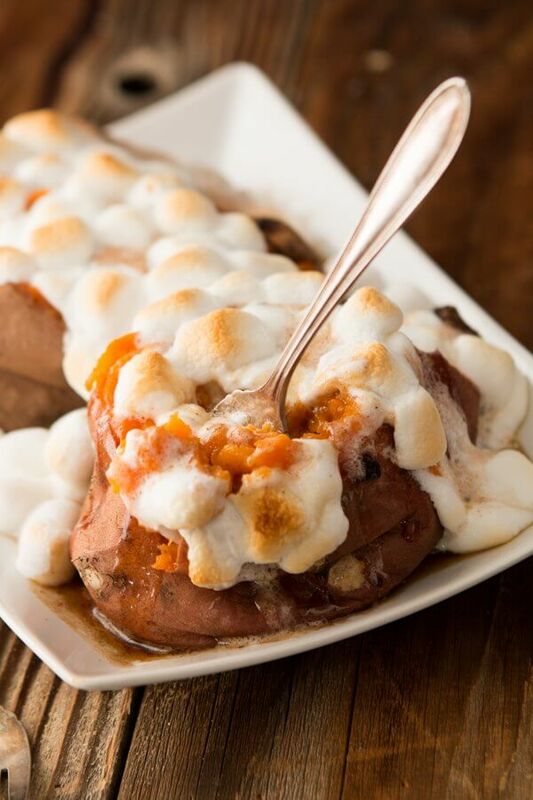 Check out this Texas roadhouse loaded sweet potato copycat recipe! 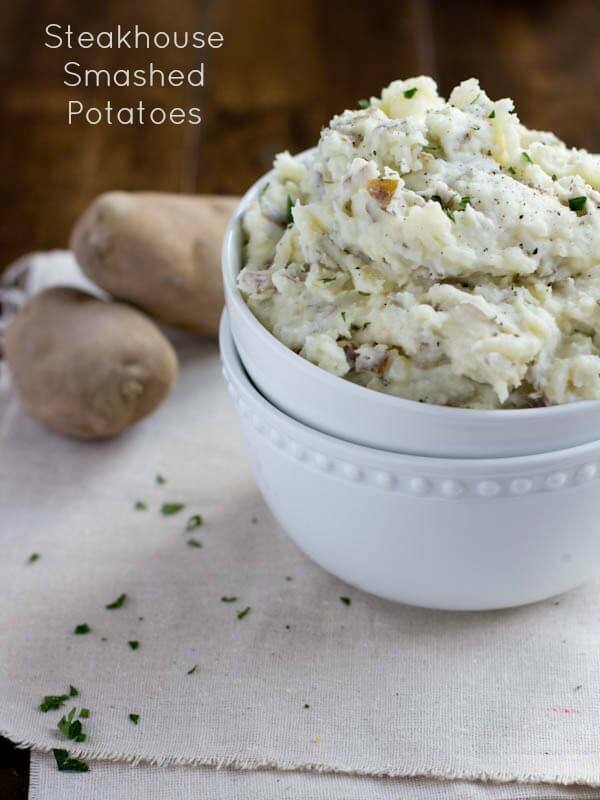 Both regular potatoes and sweet potatoes are and excellent source of fiber with a great nutritional punch. 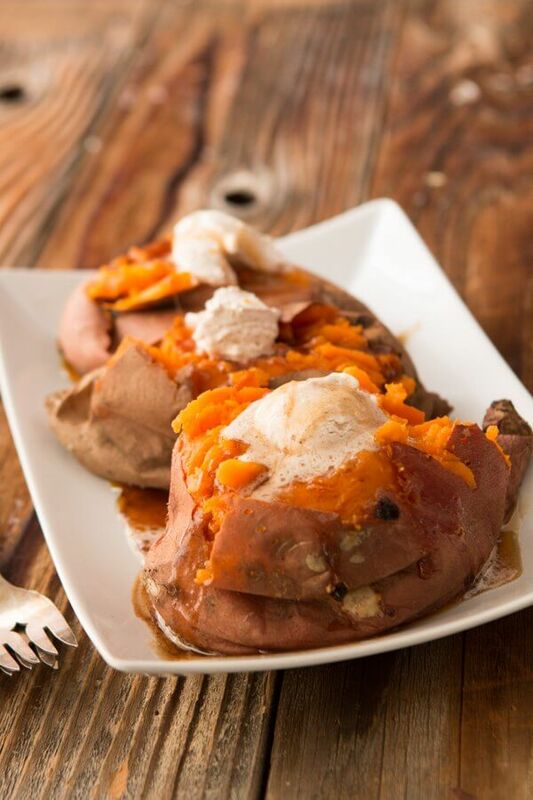 Sweet potatoes have fewer calories and fewer carbs, despite more sugar. 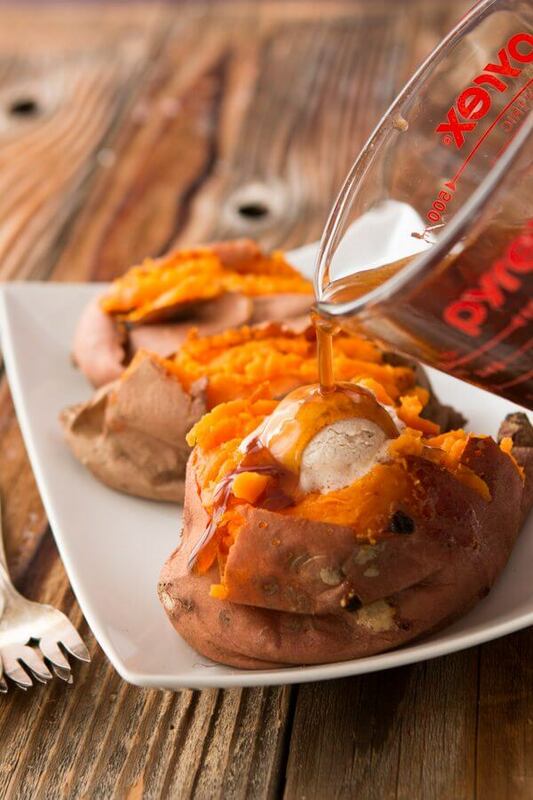 Sweet potatoes are higher in fiber. 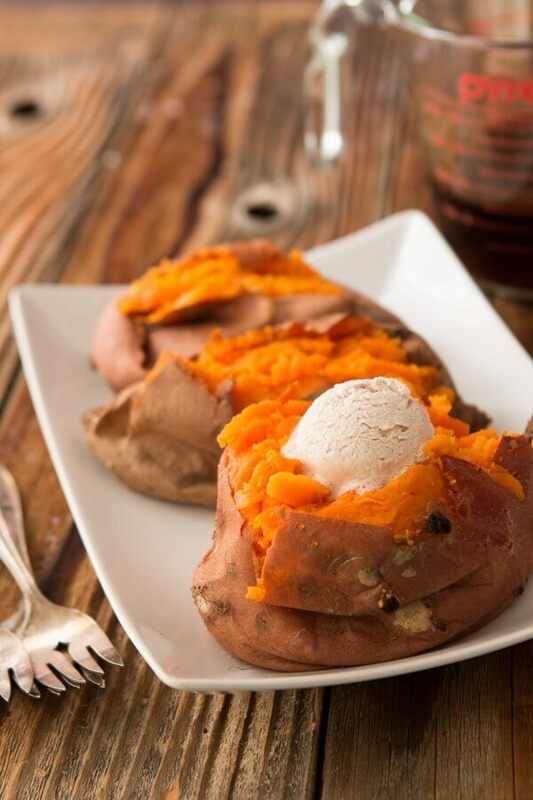 Sweet potatoes are higher in vitamin A, providing 400% of daily requirements. They also have more vitamin C.
Why do I love Texas Roadhouse so much? Is it the house salad with that thick dressing and those darn hard boiled eggs? Is it those rolls that I shovel into my mouth faster than I can say, “one more please!” Actually, I probably am the rolls because I definitely don’t like how loud it is. 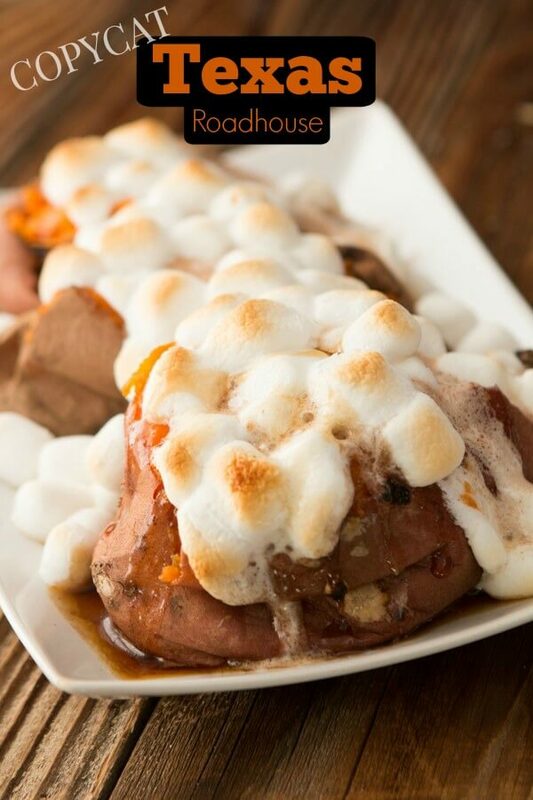 Cade would for sure, 100% say it’s the Texas Roadhouse Loaded Sweet Potato. 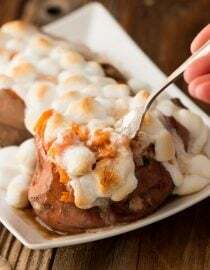 Hence this post about the Texas Roadhouse Loaded Sweet Potato copycat recipe. First you’re going to start with the butter and I cannot emphasize enough, real butter is necessary. No margarine. Sorry. 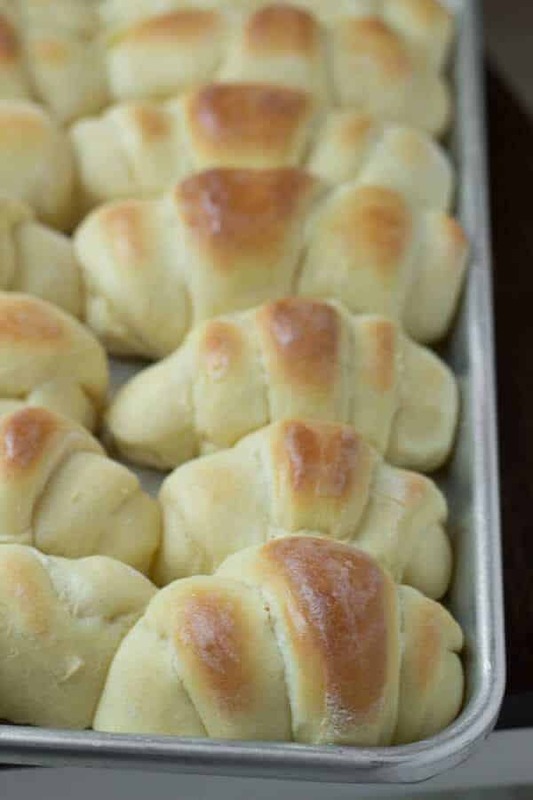 And if you’re like us you’ll want to make extra for soft rolls like our famous potato rolls or homemade rolls. Then there’s the caramel sauce. I really think this is more a dessert than anything else, but we can all pretend I didn’t say that when you eat it with your big, juicy steak at dinner. The caramel sauce actually keeps really well and heck, you could eat that caramel over ice cream if you wanted! But before we go on, can we please just talk about the noise again? I am SUCH an old soul. I hate when it gets so noisy that you can barely think. It actually gets annoying to me. Am I the only one? I mean, I get that a restaurant is noisy, but when it gets to be too much noise so that I cannot hear our table guests then dinner just isn’t as fun anymore. In fact, I totally prefer to watch movies at home now too! What the old lady? Everything that was so fun when I was younger just doesn’t seem as real or good enough quality anymore. I’d much rather have great conversation than loud music. Oh golly, I totally just went off on a tangent, see I’m getting older by the minute. 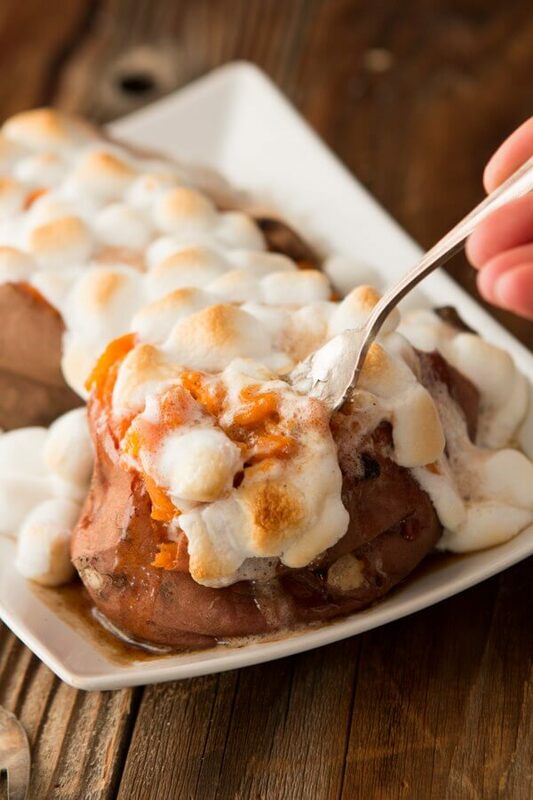 But really, these sweet potatoes are the best because it’s honey cinnamon butter, caramel and lots of gooey marshmallows. I tell Cade over and over it’s more like dessert than a side dish, but he just gives me that little smile and dives in. Can Sweet Potatoes Be Yellow? Sweet potatoes come in a large variety of sizes and colors. The skin can be white, yellow, red, purple or brown, and the flesh can be white, yellow, orange or purple. Can Sweet Potatoes Be Fried? Sweet potatoes can be fried just as other potatoes. Place sliced sweet potatoes in hot oil and stir every few minutes. Or, cut into french fries and fry in hot oil. Heat the oven to 450 degrees. 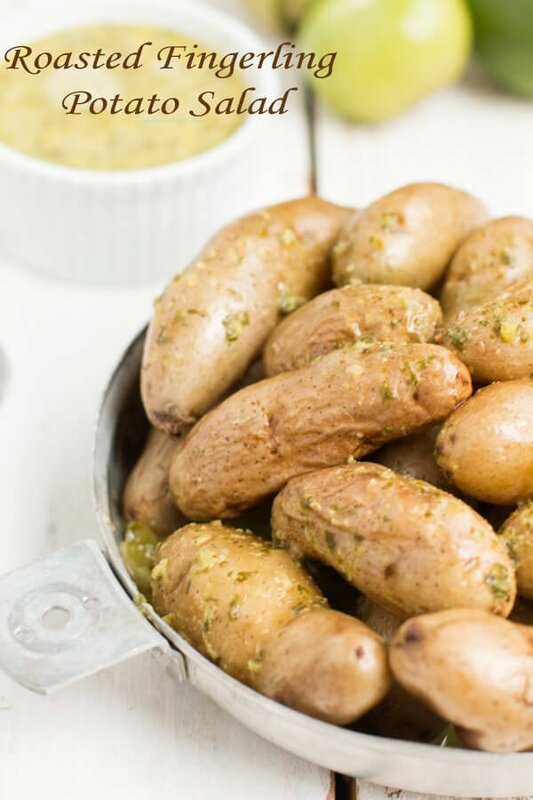 Lay a little foil on the oven rack and place each potato on top. Bake for 35-45 minutes or until cooked through. Pierce the top of the potato in a line from one end to the other and using oven mitts, squeeze in and together, pressing the potato open. Place 1 tablespoon of the honey cinnamon butter and a few marshmallows in the bottom, drizzle with caramel sauce and place more marshmallows on top. Place back in the oven for 2-4 minutes or until the marshmallows are golden and fluffy. In a small dish, stir the butter until creamy. Add in the honey, cinnamon, and vanilla and stir to combine. 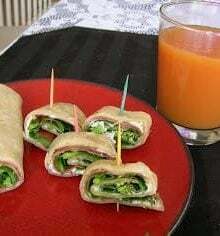 Place the butter on saran wrap and wrap into a log to refrigerate until chilled. In a saucepan over medium heat, add the butter, brown sugar and honey, whisking to combine. Cook until it begins to bubble then turn down to low and allow to simmer until thick, about 5 minutes. I made the loaded sweet potato the other day and, mmm hmmmm it was just lije being there. So good. 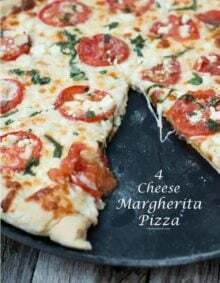 I will be making them again and again and was so grateful I found your recipe. Thank you, thank you, thank you for sharing it. YUMMY!!! Aren’t they so dang good?! I’m so glad you enjoyed them! I couldn’t believe it when I read your comment about the noise at Texas Roadhouse. I thought I was the only one that it bothered. My husband and I rarely go there because of the noise. I wear hearing aids and my husband has a raspy voice. If we do choose to go there, we know we will not be talking much to each other. Love the food, but can’t tolerate the noise. Was so happy to see your 20 copy-cat recipes. Have printed out a bunch of them and look forward to trying them out. Yes!! It’s too much! If they would just turn down the music then people would talk quieter and the whole place would be manageable. It can still be fun without making my ears bleed, haha. Just wanted you to know that these are “out of this world”. I can eat these much more often than just for one meal/side dish. 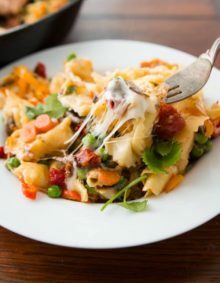 I like vegetables far more than desserts or the main meal, and these are “over the top”!! 😉 Thank you! I’ve never been to a Texas Roadhouse restaurant, but if I ever go, I know what I’m ordering. Jeannette!!! Thank you so much!! You’ve made my weekend! Thank you for your blog! Have a good day! Thanks Jeannette! And I’m the same, I skip the marshmallows but Cade loves them!